The conference‘Gilgit Baltistan: A Critical but Unknown Pivot of South Asia under Threat’ organized by the UNPO and the Balawaristan National Front( BNF) drew academics, scientists, and commentators from a range of fields to discuss and posit solutions to dramatic changes underway in one of the most politically contested areas of the world. Brussels, 9 May 2011 - In the first in-depth assessment of climate change and development on one of the world’s most sensitive ecosystems, International experts gathered in Brussels to highlight the emerging but overlooked environmental threats facing Gilgit Baltistan. The conference, organized by the Unrepresented Nations and Peoples Organization (UNPO) and the Balawaristan National Front (BNF) and entitled ‘Gilgit Baltistan: A Critical but Unknown Pivot of South Asia under Threat’ drew academics, scientists, and commentators from a range of fields to discuss and posit solutions to dramatic changes underway in one of the most politically contested areas of the world. 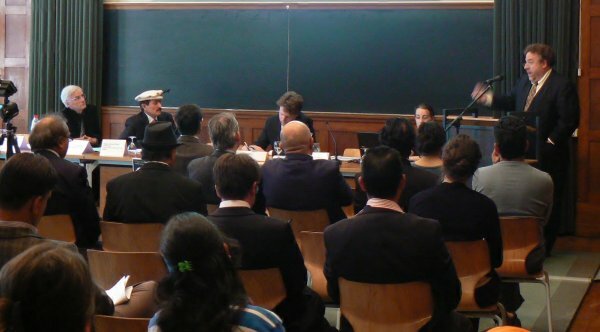 Opening the conference, Ngawang Choephel, President of the UNPO, drew parallels with the environmental degradation facing Tibet, remarking that the “misguided polices of the Pakistan government” risked repeating the irreversible damage that were the result of similar policies pursued by Beijing on the Tibetan Plateau. Participants were briefed on the current situation of Gilgit Baltistan by Abdul Hamid Khan, chairman of the Balawaristan National Front and a longstanding advocate for the environmental rights of Gilgit Baltistan before introductions by Mumtaz Khan, vice chairman of the International Kashmir Alliance. Michael J. Penders, chairman of Environment Security International, spoke of the conference’s timeliness and the pressing need to hold Pakistan and China accountable for environmental “devastation [which] has taken place outside the rule of law”. The challenges of finding sustainable solutions was discussed by Dirk Terwel, Institute of Environmental Security, drawing upon his insights from Afghanistan’s Wakhan Corridor where population growth was upsetting a delicate environment but open borders, irrigation, and tourism could present sustainable solutions. 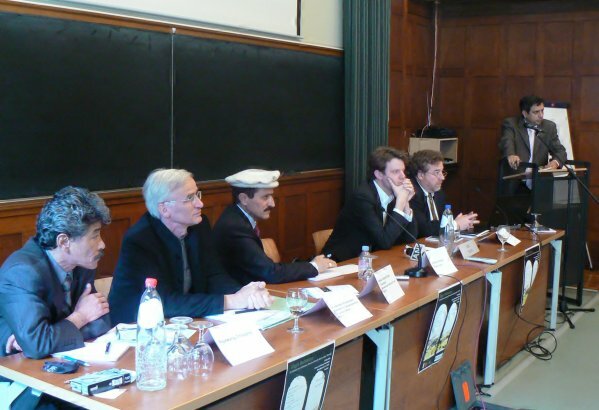 Hermann Kreutzmann of Freie Universitat Berlin wryly noted the “nice wording” of recent constitutional reforms targeting Gilgit Baltistan but that these did nothing to address the disenfranchisement of an incredibly diverse ethnic, religious, and cultural society. David Petley, International Landslide Centre of Durham University, spoke of the “chronic need” for new and more detailed research into the region’s earthquake faultlines if a future, and not too distant, tragedy was to be avoided. As climate change took root, Gilgit Baltistan would see increased droughts, flooding, and landslides, making adaption measures and local capacity building imperative. Current disaster management responses had been variable and the Hunza Dam still depended on a worryingly inadequate spillway. Lakhu Luhana, Bureau Veritas, turned attentions to the cultural impacts of current dam-building projects that would submerge internationally important historical sites. The risks to local climate and ecology from the warmer waters associated with mega-dams such as those proposed also had to be major concerns, he believed. Concluding the presentations, Senge Hasnan Sering, Institute for Gilgit Baltistan Studies, noted that development which did not benefit the local people of Gilgit Baltistan had to be stopped and expressed the hope that discussions started in Brussels could be continued and developed in Washington DC and other international policy centers.